✅ Trip Verified | Absolutely the worst airport ever. Is is disgusting. Dirty hallways and toilets, unprofessional employees, and nobody helps you. In top of it, I was shocked to realize there are no baggage carts to carry the luggage. Does this airport management realizes that our tickets include airport taxes? OTP fired the contractor that provided the carts because THEY didn’t want to pay the ? I flew business and paid thousands of dollars for the ticket. Which includes me paying for OTP taxes too. "This airport is missing a lot"
✅ Trip Verified | This airport is missing a lot. The display panels don't show all flights due to lack of space. You have to look at the monitors. I learned to shop at the supermarket on arrival, located on the ground floor in the public area, the only place with reasonable prices. Despite the indicators, the tap water is drinkable. You must check-in online to save time, the airport is very crowded, because it was not created for such a large number of passengers. The toilets are so dirty that I'm going to the toilet on the plane. I usually avoid traveling with checked baggage to save time at the airport and I print my boarding pass. ✅ Trip Verified | Prices are exceptionally high, especially basic things like water. Not enough seating, understaffed. Burger King cost 10 euro a meal that is a double the price from anywhere else. Most important that you have three or four smoking areas available, but people who need to take their pills with a glass of water can not have a free glass of water, but you can smoke for free. 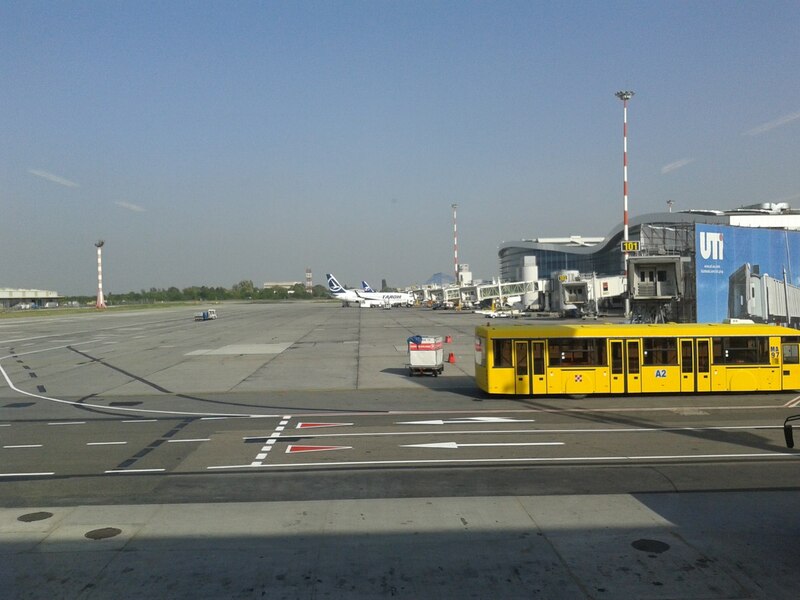 "seats at the gates are not enough"
Not Verified | The baggage drop-off counter of TAROM, the main airline of the airport, also does check-ins, so people that take the time to do their online check-in prior to boarding have to wait for the same amount of time as the rest. There are no automatic check-in devices. Waiting time for a simple luggage drop took about 30 minutes last time and 1h and 10’ in November. The security check is also very old, with poorly-designed trays that are small, can’t fit a 15’ laptop and take a lot of room to stack. The signs leading to gates are rare and confusing, or sometimes missing altogether. While waiting in the bus to be taken to the airplane, the driver just kept the doors open for 15’ just to get one more person inside, although the outside temperature was -3 degrees celsius. The seats at the gates are not enough. Food and beverages are overpiced, comparable to luxury restaurants in Bucharest, while their quality is low or very low. Exchange offices at the arrival terminal offer exchange rates that are about 17% higher than the official rates. (4 RON/EUR when the official rate is 4,7). Waiting for your luggage in the arrivals terminal takes at least 15 minutes after arriving in the luggage collection area and can go up to 20-25 minutes. Not Verified | Arrived for departure at 5.00am for a 7.00 am departure for Amsterdam. Looked at the check in board but no check-in desk info available for our flight. No one at any KLM desk. Waited until 5.45, still nothing posted. Finally a staff person came to the KLM sky prioirty desk so hustled over there to check in. By this time queue lines for security were at least an 1 hr 45 min long. People kept cutting in - little movement. So we went up to the oversized luggage screening and pleaded (literally) to go through so we did not miss our flight. It was now 6.30 am. We got bumped out of line by 4 Spanish police officers carrying cased sniper weapons, but finally got though by 6.40. Fortunately, we were non EU passport holders, so that went relatively smoothly. We bolted to the furthest gate for KLM and were the last 5 passengers to board the plane. One of the worst experiences any of us have had, and we are all very seasoned international travelers. Definitely not a good impression to be left with after visiting such a beautiful city and region. ✅ Trip Verified | I wish to reiterate in brief everything that others have written about Otopeni airport. It's a disgrace, disgusting and dirty and embarrassing for a European airport destination. No space, no seating, astronomic prices and a very bad staff attitude. On top of this worst experience from a local airport rent a car company - Optrentacars.ro with poor negligent upkeep of their fleet of cars and very rude/angry and unprofessional staff. "it was a terrible wait"
✅ Trip Verified | The check in line was very very slow and with the 30 + degrees outside and immense heat inside, it was a terrible wait. The dear woman at the desk was very kind even though she admitted to us how tired and hot and bothered she was! If staff aren't treated properly by their superiors then how would one expect them to treat clients/travellers? Following check in, the security line was very long. It took us over 1 hour to pass Security. Children were screaming and shouting and everyone around was very impatient, understandably. The staff at the passport control are very very rude. We were in a queue for passports which was taking already the most of 30 min and when it was our turn, the female officer came out of her cabin and closed the line without any apology or explanation besides stating "closed". The airport is overcrowded and raking in massively on aiport taxes yes they are not making it any more comfortable for passengers. We are now waiting for boarding (delayed) and everyone is sweaty and very smelly as it is drastically hot here! And of course, a bottle of water is suddenly massively overpriced, €3 a bottle, like, really? ✅ Trip Verified | The waiting time for luggage pick-up was ridiculously long, up to 35-40 minutes. Unbelievable!!! We were finishing a tour, on which we used different airports from Belgium, Netherlands, Sweden, Norway, and Germany, but nowhere took so long to receive our luggage. Even though there are more than one pick up line, they thought it was a good idea to put 2 flights which arrived at the same time on the same line; this meant that a lot of persons (about 200 hundred) were on the same spot, waiting for their luggage while next to us, there were few lines completely free and no flight arrival was associated with none of them for almost 1 hour while we were there. The queues for passport control were quite long, I don't know if they don't have enough personnel to help or they really don't care. Everything from beverages, food, magazines or products in the famous Duty-Free are way too expensive, like 2 or even 3 times more expensive than you will find them in the city centre. The toilets smell horrible and look even worst. ✅ Trip Verified | This is one of the worst airports I have ever transited. 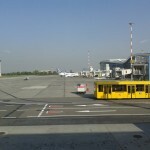 Otopeni airport became increasingly more crowded in recent years and nothing was done to improve travel conditions for passengers. The queues for check-in, security check and passport control (especially on arrival) are most of the time quite long. Automatic passport/boarding pass control is completely unheard of. The waiting time for luggage pick-up is even longer (prepare to wait for 20-30 minutes or more). There is a fairly good amount of restaurants for the size of this airport, but with very few seating places. The food and beverage prices are extremely high compared to the city and you don't even get decent conditions to sit and eat. The gate seating areas are equally small for the rising number of passengers. The way to the gate is even more overcrowded, with gate queues blocking your way. The absolute worst of all are the toilets. There are way too few toilets for the number of passengers, in very bad condition (broken toilet seats, water not running) and always dirty. They're literally a health hazard to the passengers. The whole airport is basically smelly, from the moment you step into the terminal. Upon arrival, the queue to the only toilet I found on the way to the exit was so long I had to quit and ask my Uber driver to stop at a gas station. On top of it all, the attitude of the airport staff is very rude (e.g. there was a closed toilet and when I asked if I may use it I got a very rude "find another one" reply from the staff).